Who doesn’t want to serve up a big bowl of soup that tastes like it’s been simmering for hours. I do! 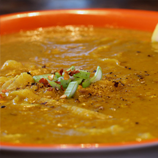 But when I’m short on time, I want to be able to enjoy a healthy soup BUT skip the simmering for hours – without giving up on taste or nutrition! 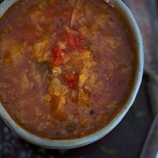 An incredibly satisfying and healthy Indian Dahl style soup. Full of healing spices! Come see the recipe and give this one a try. In this post I express my love for lentils and provide a great recipe that you should definitely try out! Hello, I saved a post about a slow cooker cauliflower dill soup and now can’t find it. The recipes don’t seem to go back very far on here. I saved an instagram post from awhile back for cauliflower dill slow cooker soup and am now trying to track down the recipe on your site and can’t find it. The recipes don’t seem to go very far back. 😦 Do you still have it published somewhere?